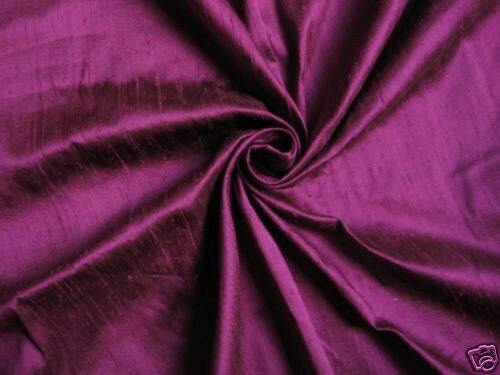 Designer Purple dupioni silk fabric. Brand New High-End Dupioni Silk Fabric Yardage. 45 inches wide. Such a lovely color! And it was shipped so quickly. Only took 2 days from order til delivery. I'm a loyal Designer's Needs customer because of the great service and top quality silk. Beautiful fabric very fast shipping. Thank you so very much! Quick shipping ! Item as described. Will visit shop again.